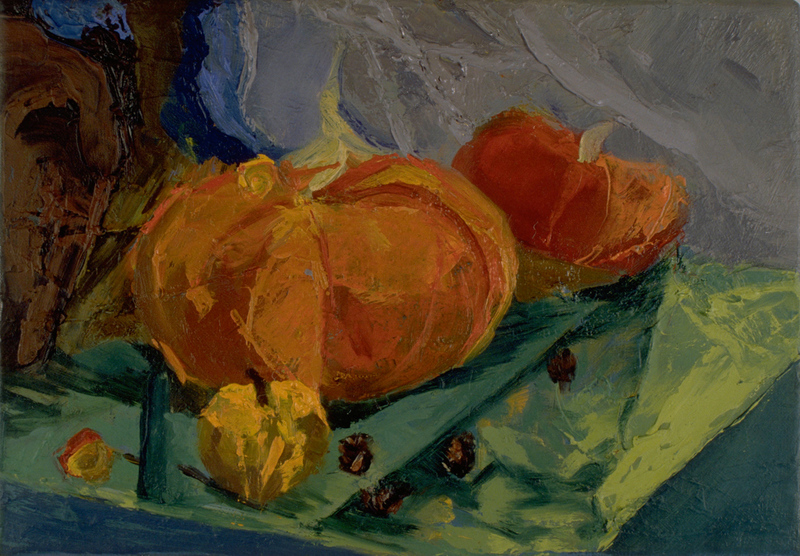 My earliest influence was my grandmother Miriam Israels, a strong still life and portrait painter and niece of the well known Dutch born painter Joseph Israel's. Her second husband was Naum Gabo, the Russian constructivist sculptor whose large metal construct portrait head used to sit outside Tate Britain. Their Friends were people like Ben Nicholson and Yves Tanguy from the the British Abstract Modernist world. My grandmother's first husband had a marvellous collection, ( mostly chosen by her ) including artists such as Epstein, Orivida Pissaro, Mark Gertler and Utrillo to name but a few. So I wasn't short of artistic influences in my life and grew up to love most of these artists. However my strongest influences remain the great classics Rembrandt, Reubens, Picasso, Soutine, Vermeer,Artemisia Gentileschi and amongst the contemporary artists I admire are Jenny Saville, Saied Dai, Ewen McClure, Lucien Freud...and many more. I also adore the ancient sculpture of the Egyptians, Etruscans and Greeks But the Renaissance period remains my favourite with artists like Giovani Bellini, Piero Della Francesca and Giorgione who create the magic I can only aspire to. Afterwards in 1982 I went to Venice to study etching. It was because of him that I learnt a sculptor's approach to drawing and have included this in my approach to painting as well as drawing. So when I paint from life, I plan and try to create three-dimensional space but I also follow my intuition not always knowing where it will lead me. I love painting from life and find that the more sensitive I am to my subject the better the painting turns out. Portraits are a favourite area for me although I find them tremendously difficult. But of course if the painting is not difficult and the challenge is not great enough then the painting is not really worth doing! I always remind myself ,particularly when looking at great artists, that there is always more to learn.